Do you think you may need a garage door inspection and tune-up? If your garage door isn’t working correctly for any reason, be sure to schedule a tune-up right away. Is your garage door having problems? If you need a tune-up or maintenance, contact Overhead Door Co. of Greater Cincinnati by calling 513-394-6938 513-394-6938 today! Do You Need to Tune Up Your Garage Door? First things first—do you need professional garage door service? 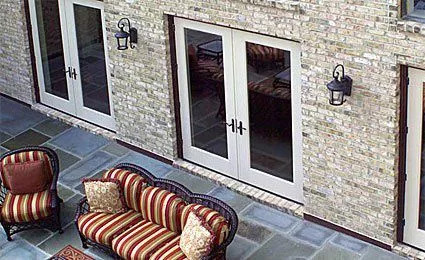 If anything at all is wrong with your garage door, having a door specialist come out for an inspection is a good idea. In fact, we don’t recommend that homeowners handle any repairs or inspections themselves. After all, the garage door tends to be the largest moving part of your home! Whatever the source of the problem (worn down rollers, broken springs, etc. ), all garage door repairs need to be taken care of right away. A garage door that doesn’t work properly leaves your home (or place of work) vulnerable. So don’t wait if you think you need a tune-up, repair or even a replacement—call Overhead Door Co. of Greater Cincinnati! We offer emergency 24-hour garage door service so you can rest assured we will be there whenever there is a problem. Don’t take chance when it comes to your safety. Contact Overhead Door Co. of Greater Cincinnati today if you need professional garage door service for your home in southwestern Ohio.